Are you looking for a domestic cleaning service for your home? 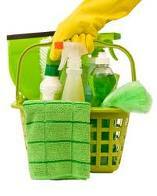 Houseproud offers a range of domestic cleaning services from regular to one off cleans. We can tailor a cleaning service to suit your every need. If you want to get professional domestic cleaning service from our friendly team contact HouseProud domestic cleaning company for a no obligation domestic cleaning quote. Why choose HouseProud Domestic Cleaning? Our fully insured, uniformed, highly trained friendly committed team are looking forward to providing you a free no obligation quote for your domestic cleaning services.